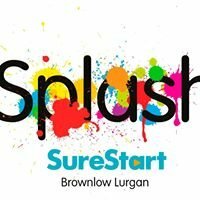 Splash Sure Start has been operational in the Lurgan and Brownlow area from October 2007 providing services to children aged 0 -4 years and their families. Splash Sure Start aims to work with parents to promote the physical, intellectual and social development of babies and young children so that they can flourish at home and when they get to school. The multi-disciplinary team of 26 staff consists of a wide range of professionals including Family Support Workers, Health Visitors, Midwives, Speech and Language Therapists, Play Development Worker, Early Years Workers and a Child-minding Co-ordinator. Splash Sure Start does not replace existing services. We aim to build on what is already there bringing services together in a way that help families find support and advice. Development of services will be ongoing in response to needs/demands identified by the parents/carers. Splash Sure Start encourages feedback on existing services and ideas for developing services.